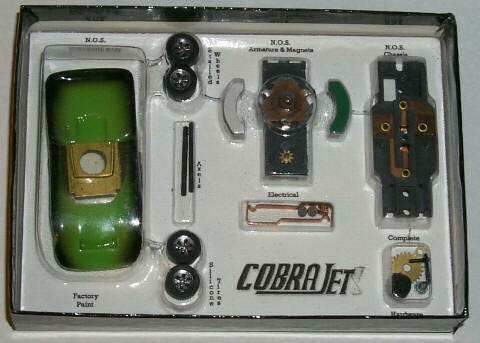 Here are the 'Cobrajet' HO slot car kits, while our limited supply lasts at Slot Car Collectibles! 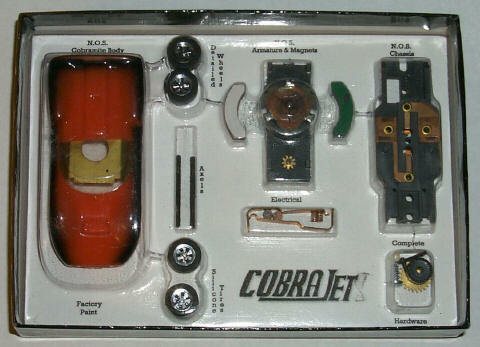 These 2001 kits were composed of original 60's new-old-stock parts which combine to make a thunderjet-powered Cobramite-bodied slot car. 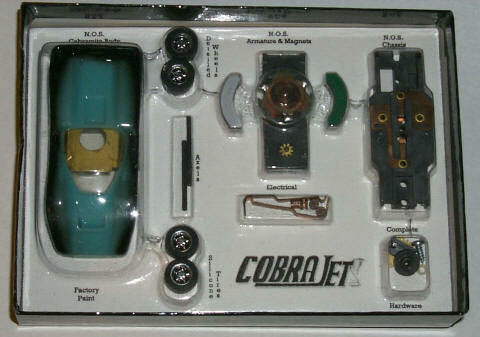 There were 7 body styles in all, and 6 different colors of each body were produced. 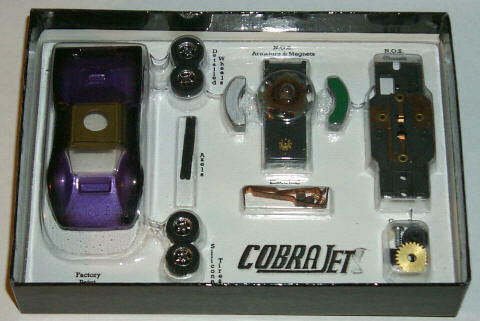 There were about 700 Cobrajets available on the market and they sold out quickly. Once our supply is gone they are gone- there will be no more made. The quality of these kits is impeccable, so don't miss out! 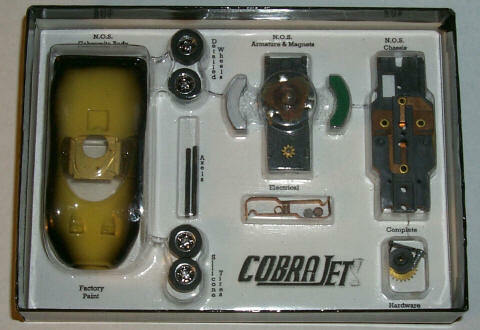 The bodies are factory painted clear butyrate type bodies (predating lexan) by Cobra circa the late 60's, and have the brass Cobra gear plate clips which clip on to the chassis substituting for the normal thunderjet gear plate clamp. The wheels are custom made star- pattern type with silicone tires front and rear. 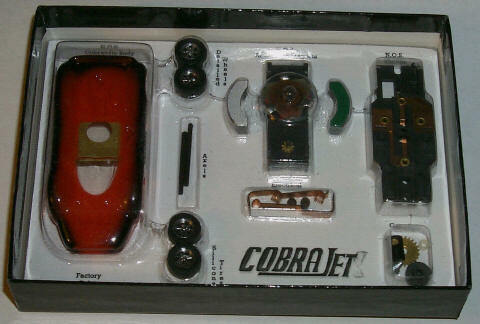 The parts are displayed with an attractive box insert and the parts blister compartments are all labeled with their contents. 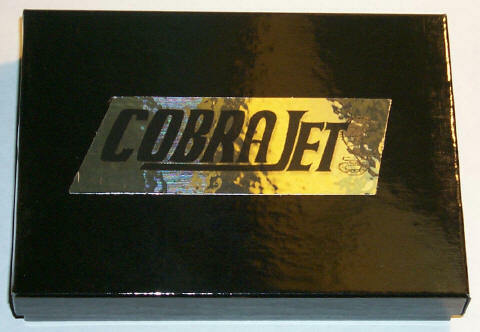 The black outer box top has a great looking silver 'Cobrajet' label. Take a look at the pictures and I think you'll agree that this is something that will look great in your display as it is, or built-up if you just can't resist! The body styles and colors we have left are listed below. Price $125.00 each.